Formerly known as Indian Institute of Modern Management is a private Business School based in Pune. It’s known to be the ‘crown jewel’ of Sri Balaji Society. The Institute is just not known in the city but also in the country by regaling management education and empowering its students to shine themselves as entrepreneurs, managers, and leaders in the corporate world. The Institute gives you a vast exposure to the world and make you feel find wonders. This has been a pillar of strength and you will be impressed by seeing the competencies of both teachers and students. The institute ensures not only through a wide ranging course components taught by prominent faculties but also through practical exposure of the industry. 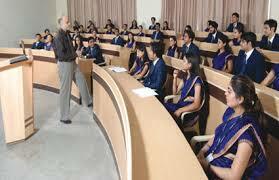 The distance learning in this institute is desirable to minimize stress and strain of students. Also being a Distance Learner here makes you experience the campus life of Balaji Institute of Modern Management. The eligibility criteria is that the qualifying examination would be Bachelor’s degree from a prestigious college with minimum 50% aggregate. Candidate should have a justifiable score in CAT/MAT/CMAT/MAHCET entrance examination. With this should have minimum 2 years of working experience and maximum of 60 months experience. The application can be filled either online or offline with required details. And the eligible students will be taking an entrance test conducted by the college. With the further selection the candidates will be called for a personal interview. The duration of the course for a distance learner would be 3 years and course fee is INR 20000. MBA in sales and marketing want deatis fee? I am working professional with 13 year experience i am interested in Executive MBA through corredpon? Graduation from a recognized university with minimum 50% aggregate. Candidate should have a valid score in CAT/MAT/CMAT/MAHCET entrance examination. Candidate should have minimum 24 months working experience and maximum 60 months experince. Can apply online of offline with the required information. Eligible candidates need to appear for the entrance test conducted by the college. Shortlisted candidates will be called for personal interview based on score obtained in entrance test. Fee structure for MBA at Balaji Institute of Modern Management is approximately INR 697000/- for the complete course. Graduation with minimum 50% aggregate from a recognized university. Candidate should have a valid score in CAT/MAT/XAT/CMAT/MAHCET entrance examination. Write Your Reviews on "Balaji Institute of Modern Management Distance Learning"
Are you Interested inBalaji Institute of Modern Management Distance Learning"? Please provide the following details. Ask Question on "Balaji Institute of Modern Management Distance Learning"?